Simple and modern, the Neston fireplace is a no nonsense surround that is perfect for a modern, minimalist interior. 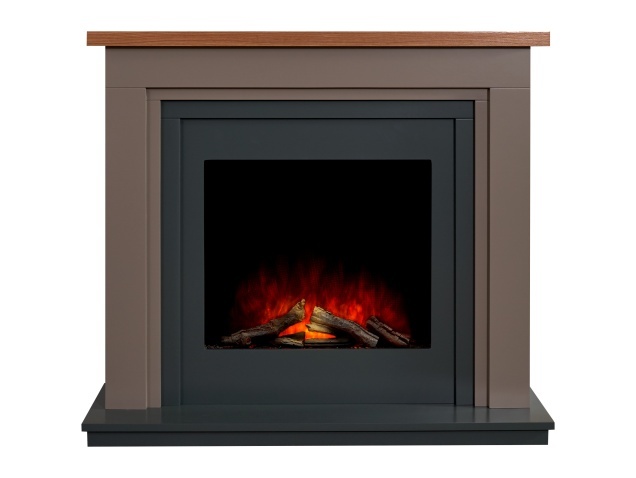 With a charcoal grey mdf finish, this surround comes complete with the Adam Ontario electric fire which is guaranteed to impress with its unique LED-X flame effect and log effect fuel bed. This fireplace is supplied with a 7-day programmable timer remote for which you can control the flame effect and adjust the thermostat heat output between 1Kw and 2Kw. Requirement: This suite sits flat against a flat wall.